Today’s show comes to you from Chapter III of The Panel Jumper **Live! 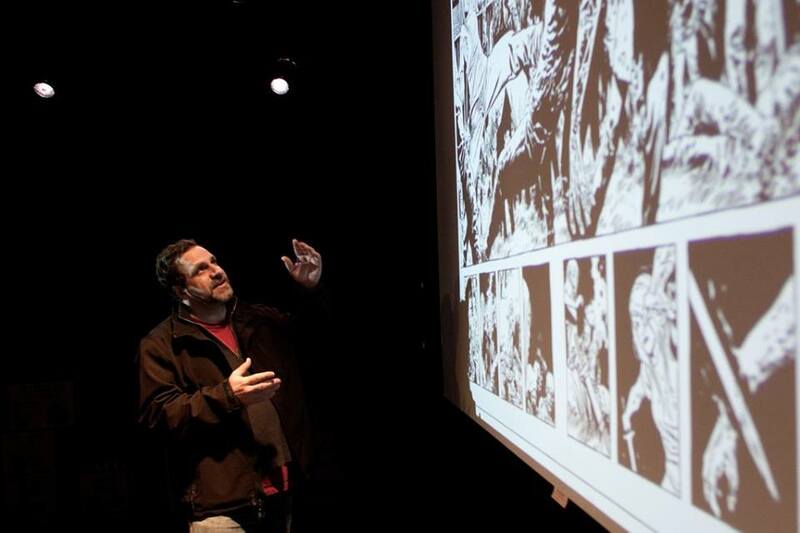 ** and our guest is the inker of such comics as Manifest Destiny and The Walking Dead – Mr. Stefano Gaudiano! Tune in as he talks about his path to becoming a professional “tracer” (his words), his preferences between inking color vs. black & white comics, and who his favorite artist to ink for is (spoiler: he doesn’t have one favorite).